Partnering with nonprofits in the Bay Area, county offices of education in the Central Valley, and with the help of community members and even a kids’ baseball team from San Carlos, Kaiser Permanente’s aim was to help underserved students have a great start to the new school year. Kaiser Permanente Community Benefit provided a $10,000 grant to the nonprofit Family Giving Tree — and regional employees and physicians raised an additional $3,200 — to purchase backpacks and school supplies. Employee volunteers also worked to fill the backpacks with materials ranging from paper and pencils to scientific calculators for high-school students. Members of the Kaiser Permanente Redwood City Ambulatory Surgery Unit helped organize the drive. 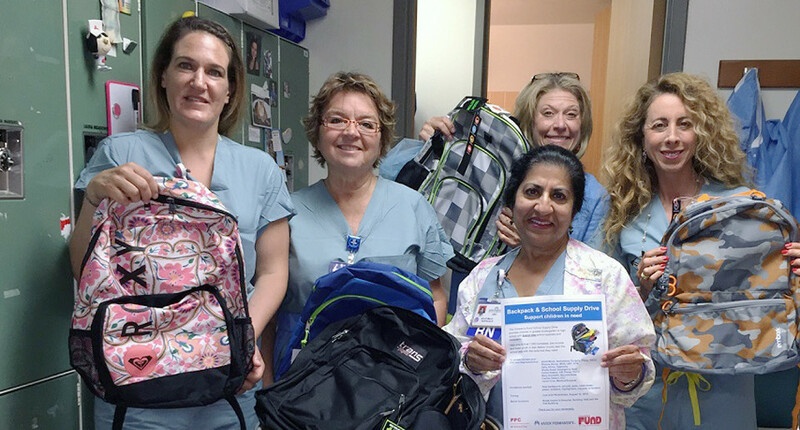 At the Kaiser Permanente Redwood City Medical Center, a team of RNs known as the Professional Performance Committee gathered more than 200 backpacks and dozens of boxes of school supplies. The donations from employees and physicians will go to the Children’s Fund of San Mateo County, a nonprofit dedicated to helping low-income and foster children. “The team members and their 11 families collected more than a dozen new backpacks and four large boxes of school supplies to boost Kaiser Permanente’s donations,” Mann said. For the past three years, Kaiser Permanente Roseville employees and physicians have donated backpacks and supplies for a local kindergarten through 8th-grade school with a high percentage of underserved students. And this was the fifth year that Kaiser Permanente San Rafael telephone operators held a backpack drive for Marin County schools. 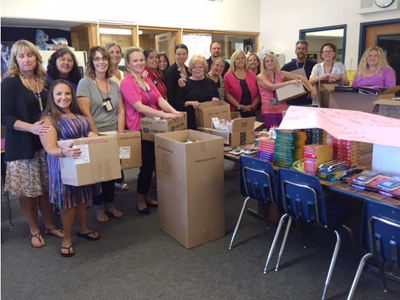 Kaiser Permanente Roseville employees pose with donations for a local school. This year, Kaiser Permanente’s Central Valley Area collected 120 backpacks filled with supplies and provided $5,000 in Community Benefit grants for a drive done in partnership with the Stanislaus and San Joaquin counties offices of education. The campaign featured a school supply drive-up and drop-off event, so members of the community could also donate. In Vacaville, Kaiser Permanente’s Napa-Solano Area teamed up with the Vacaville Law Enforcement Wives Organization and provided goody bags for backpacks put together for Opportunity House, a local shelter for homeless women and children. The goodies included reusable water bottles, hand sanitizer, pencils, and stickers. The Kaiser Permanente Medical Center in Sacramento hosted a school supply drive for the first time this year. It included donations of T-shirts, sweat pants, and tennis shoes for P.E. class. With the donation drives wrapping up and students heading off to school, at least one Kaiser Permanente group said it’s now thinking of its next community project. 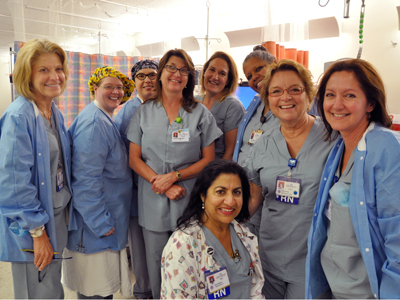 The Redwood City nurses group said they plan to collect clothing and toiletries for a nearby homeless shelter.